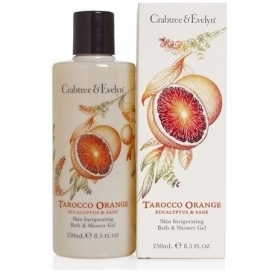 Caress and cleanse in one scented sweep with our Tarocco Orange, Eucalyptus & Sage Skin Invigorating Bath & Shower Gel. This upliftingly fragranced, gently cleansing gel creates a smooth lather in the shower, brilliant bubbles in the bath and a splash of indulgence in your daily routine. Fragrance: A clean, invigorating and energising citrus scent with an uplifting blend of orange, bergamot, and neroli. 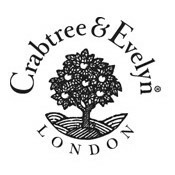 I didn't like the other Crabtree & Evelyn Torocco Orange product I tried but this one is pretty good. The scent is lovely this time. Definitely orange and yet a little different. Beyond that the gel works well in the shower but it doesn't really transfer the scent which is either good or bad depending on your view point (I rather like it). Nice without being great and a little pricy but a good alternative.